True, the apple worked. But if it hadn’t, the serpent would have likely known success by tempting Adam and Eve with a butter-rich cupcake. I’ve seen firsthand in our home how the weakness of the spirit, whether in human or dog form, is amplified by one’s proximity to butter. For three of the five members of our family (MW, OD, and Luna), temptation and butter are truly indivisible. They can’t help themselves and are powerless to resist. Each of them follow a credo that you can never have too much butter. 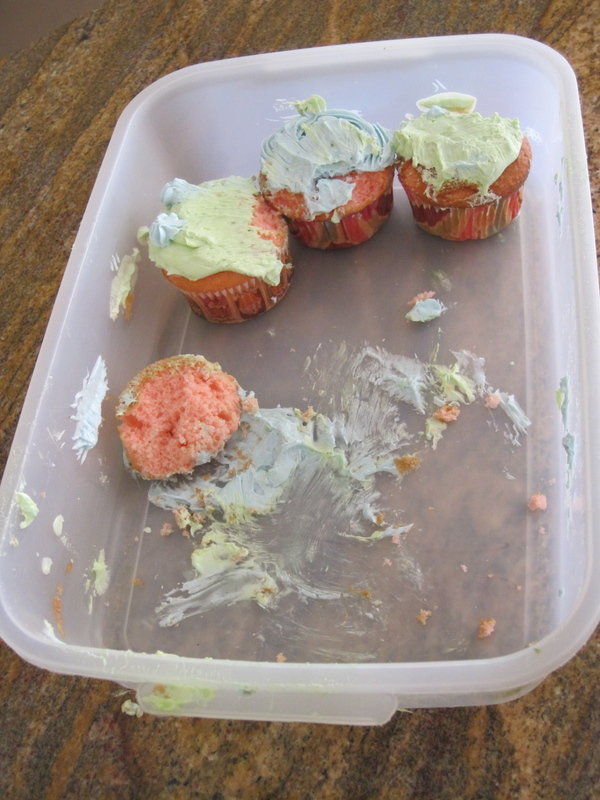 That’s how two-dozen cupcakes were recently born and died in our kitchen in a 72-hour period. OD turned 13 last week and in honor of her entrance into angst-ridden teenagehood, MW made two dozen cupcakes liberally iced with a butter-cream topping. (MW informed me laughing, that “they’re all butter.”) MW and OD were focussed; at regular intervals during the weekend, they disappeared from the container, like the victims in Agatha Christie’s And Then There Were None. Despite OD’s herculean effort to finish the last dozen by Sunday evening, Monday morning arrived with five remaining. Another disappeared for breakfast, leaving four sitting uncovered in the middle of the kitchen island. I’ve previously detailed the risks of leaving anything remotely connected to butter on our kitchen island. It’s like having a budget surplus and wishfully expecting politicians to avoid spending it. In American political parlance, Luna is not immune to earmarks. She goes all-in. Which is the prelude to the apprehension of our Great Dane puppy yet again luxuriating in the taste and texture of butter. While we were out of the kitchen doing something meaningful with our Monday morning, Luna slunk in, bellied up to the island, and gave into temptation. She was busily reshaping the remaining four cupcakes with her tongue when I walked in. A quick shout, and she was banished to her corral for a 30-minute timeout. There she stood, enthusiastically licking every remaining trace of butter from her fur. There was no doubt she thought 30 minutes of confinement a worthwhile trade. The postscript is pretty funny. Despite eating something like 12-14 cupcakes in two days, OD was still not yet sated. After some hesitation, she surgically removed what you might consider the epidermis of the icing, wherever she suspected Luna’s tongue might have visited. 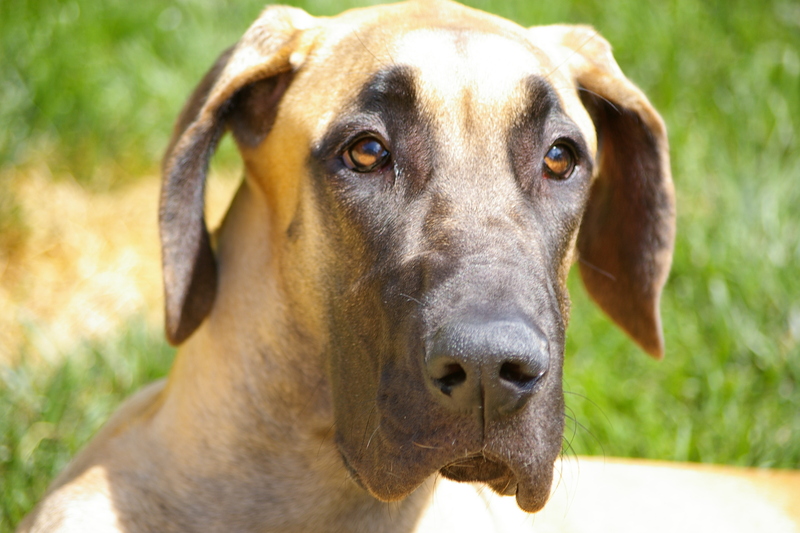 Downing two more, she finally called it a day, and jettisoned the remaining pair in the garbage, an action our great dane puppy certainly considers heresy. Fortunately for our dog, however, she shares a house with two people who just can’t get off the butter junk.